A resolution is a statement about doing something better or stopping something that just isn't working. 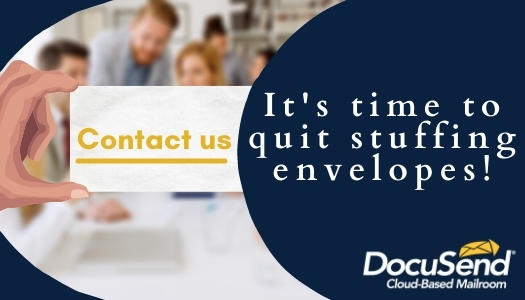 Now is a great time to look at your business processes and see how DocuSend’s cloud-based mailroom can make you work more efficiently while saving you time and money. Save postage–– Save postage and stop annoying your customers with duplicate mailings by letting us merge documents that are going to the same address. Save even more postage by mailing an insert in the same envelope with your invoices. 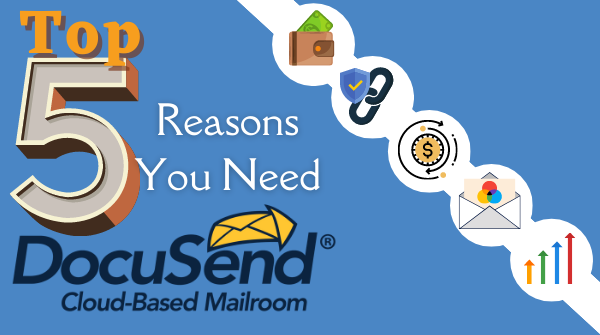 Save money– yup... DocuSend can mail your invoices twice as cheaply as you can, and can process your special mailing needs, even send certified mail, without you ever having to leave your office. Improve your cash flow– send invoices as soon as the work is completed. The faster your invoices go out, the faster the money comes in. Color Cost Effective– Offer additional services right on your invoices. Add some pops of color to your invoices wherever you want to draw your customer’s eye. Grow your company– outsource the printing and mailing of your invoices to DocuSend and get valuable time back in your day. Focus on expanding your business: instead of spending valuable time stuffing envelopes, use that time to solve business issues and gain new customers. And by all means, don’t bore your employees to death with this mundane task! New Year's resolutions apply to businesses too!